Just a very quick update today. If you didn’t read my post about the A MEMORY OF LIGHT release date, it’s here. This week’s Writing Excuses podcast features Mary and Dan speaking with Sarah Pinborough in an episode entitled The City as a Character. The most recent annotation for ALCATRAZ VERSUS THE EVIL LIBRARIANS covers chapter one. 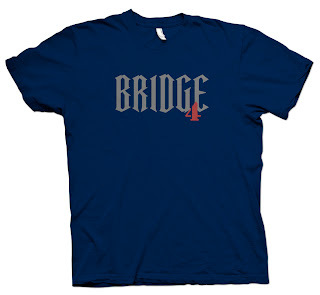 InkWing is having a contest to decide what Bridge Four T-shirt to make. Head over to their blog to vote. Three random commenters on their blog post will get a free shirt.